We are trained and equipped to handle any Emergency Tree Service or any Tree Removal you may need. Call us today and we will make it happen. Do you have a tree that has fallen or appears as if it may fall soon? 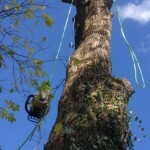 If so, this can be a serious problem and our experienced team can help get your tree removal situation resolved quickly and at a fair price. 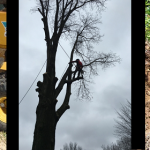 We offer prompt emergency tree removal in NKY and professional tree services to Northern Kentucky and surrounding counties. 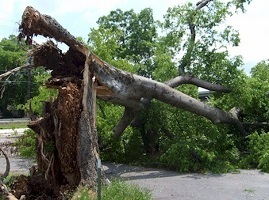 When a damaged tree falls or is threatening to fall on your property, this is a dangerous and very serious situation. Our professional team of tree professionals are ready to help. We pride ourselves on being able to respond fast, and do what it takes to get the job done safely at your home or business. 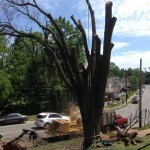 We offer the most affordable tree services in Northern Kentucky. In situations where you are concerned about the health of a tree, we can assess your tree and provide an analysis of it’s current health. Before making a decision to remove or trim your tree, consult our tree experts. We are a family owned and operated Tree Service located in NKY. We want Go-Getter Tree to be the very best and most affordable tree service in the Northern Kentucky area. We strive to be safe, knowledgeable, respectful, and go beyond the industry standard for all of our customers. Customer Service is our lifeblood and we take it very seriously. © 2019 Go-Getter Tree Service All Rights Reserved.